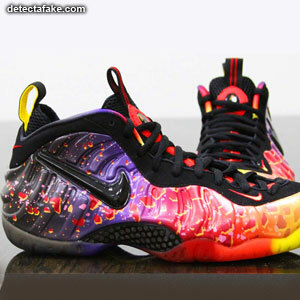 The Nike Foamposites line debuted in 1997 in two versions – the Nike Air Foamposite One and the Nike Air Foamposite Pro. 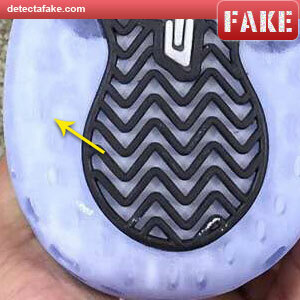 In recent years, a growing number of counterfeit Foamposites have entered the market. 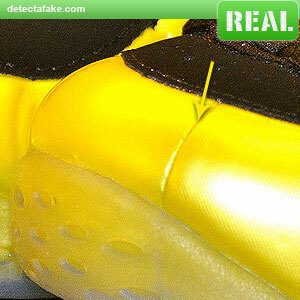 Below are a few steps to identify fake Nike Foamposites. 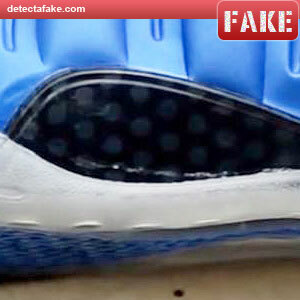 Next, press on the ridges on the side of the shoe. They should feel very rigid, but flex when pushed in. Next, look at the carbon fiber. Notice on the real one, the carbon fiber runs in alternate directions and it has a distinctive sound when scratched. 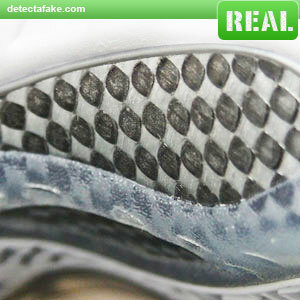 Fakes are often just printed underneath a plastic layer, like the one above. 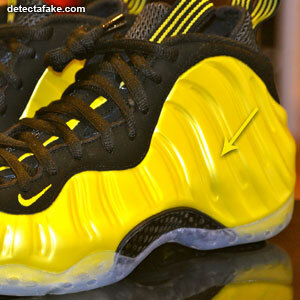 Next, look at the stitching quality and consistency. 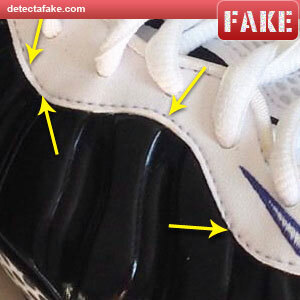 The real one above has a consistent flow between the stitching and the edge while the fake one is all over the place. 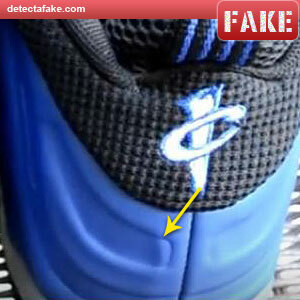 Notice the bottom arrow on the fake. The stitching runs all the way to the edge. Next, look at the tongue. The tongue should be made all in one color. Different materials, but one color. 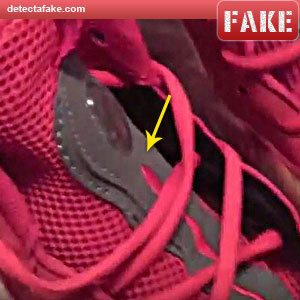 Notice on the fake, the tongue is made with pink mesh material and gray leather on top. 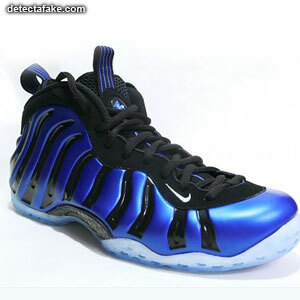 Next, look at the soles. They should be semi-transparent. 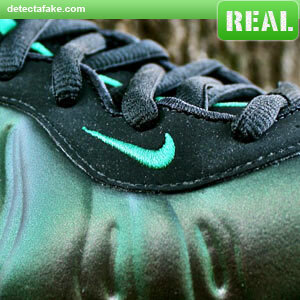 Notice the fake above is somewhat transparent but not enough. Also, the color should gradually fade into a darker color near the middle as it does in the real one. 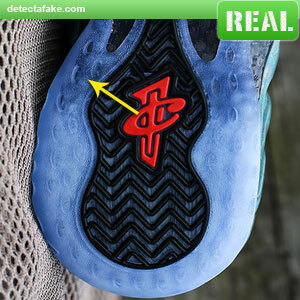 Next, look at the back of the shoe. 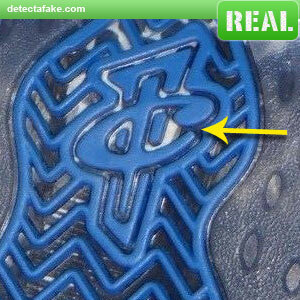 The fake ones have ribs that stop at the center in the back. They should have a constant flow through the back like the real one above. 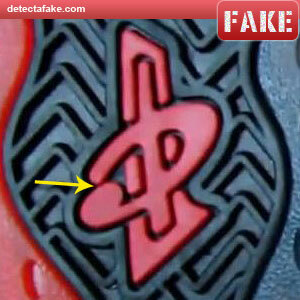 Next, if you have the Penny logo, look at the Penny logo on the soles. This is a very minor difference but look at the gap where the ends meet. There should be a small gap as shown on the real one above. Notice the fake one basically has no gap. 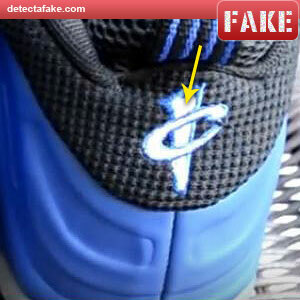 Again, if you have the Penny logo, look at the Penny logo on the back of the shoe. 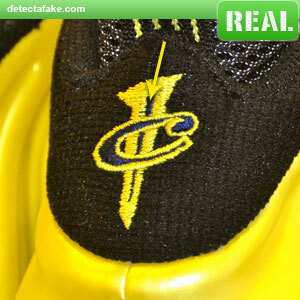 Notice on the fake, the center color is much wider than the real one. 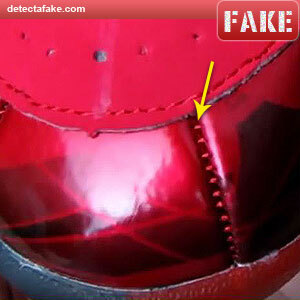 Next, look at the stitching on the toe box. 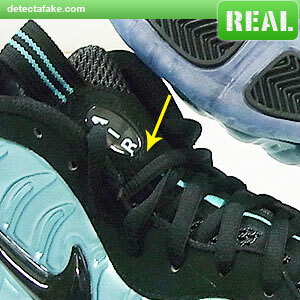 Notice on the fake, you can clearly see the threads from the stitching. 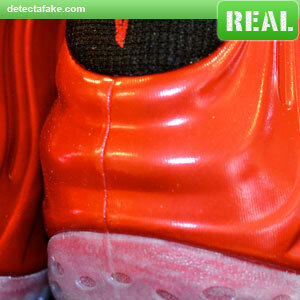 On some of the authentic Foamposites, you can see just a little of the stitch but not nearly as much as the fake above.